Hello again! So this week, I had the pleasure of testing out calf compression sleeves by Compressions. I have always wanted a very good pair of compression socks or sleeves because I love to run/cycle and I am on my feet about 95% of my shift at work as a nurse. My feet always tend to swell up after a run or after 8 hours on my feet at work. 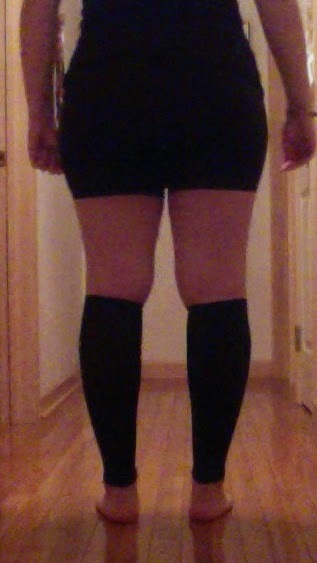 I was hopeful to try out these compression sleeves and see if they really made a difference on my legs. Compressions claims that these sleeves assist with many different activities like running, cycling, basketball, baseball, volleyball, martial arts, tennis, and cross fit. They also improve circulation during long plane rides, provide assistance for restless leg syndrome, ease pain and strain from jobs that include a lot of standing or walking like nurses or salespersons, and help relieve discomfort form varicose veins and give shin support for post surgery. 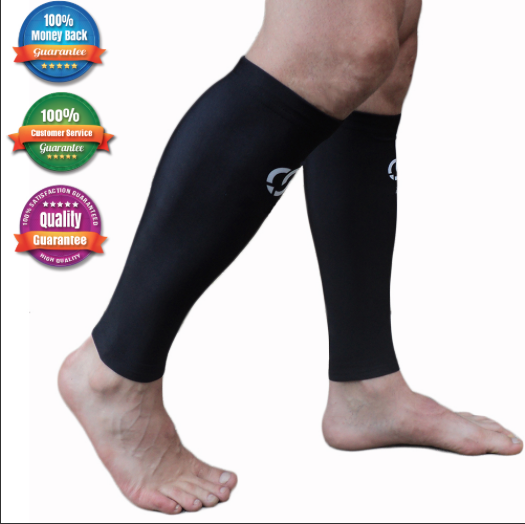 They work by using 20-25 mmHg of compression and they promote greater circulation and stability. They fit calf sizes with circumference from 12"-16". They fit snug without being flimsy. The material is moisture wicking and they do not slip or slide during activities. I was very grateful to be able to try out these compression sleeves, I cannot imagine the amount of pain I would have been in after the race without these. I also use them during my shifts as a nurse at my job. I am on my feet about 95% of my shift and these sleeves bring a lot of relief. My feet and legs are not as tired when I wear them. I hope they last a while because I have only had them about 3 weeks. If you are a runner, cross fit junkie, athlete, work in retail, travel a lot, or just need some good compression sleeves, definitely try and check these out. My only recommendation is to make sure you measure your calves because anything over 16" circumference will definitely not fit in these. If you are interested in purchasing these compression sleeves click here. I received this product for testing purposes but my opinion is 100% my own.